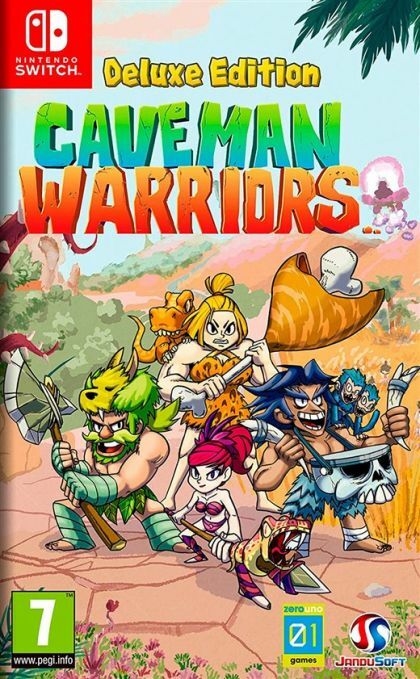 Jump back in time and free your inner caveman. Play solo or team up with up to four players*. Different playable characters: choose one of the playable characters, but don't worry! You can change your character at anytime in the game and play with them all! Support for all Nintendo Switch Play modes: Play in handheld, tabletop or tv mode. Support for all Nintendo Switch Controllers: Play with dual Joy-con configuration, single Joy-con or connect your Pro Controller to play Caveman Warriors. 1-4 Players support on the same Nintendo Switch Console. *Multiplayer requires one compatible controller per player. Additional controllers (sold separately) may be required.